Growing up in Michigan, summers were filled with long days of sunshine, perfect for playing with friends, biking and partaking in one of my favorite activities, listening to live music outdoors. I loved stretching out on the lawn with a picnic basket in hand, singing along with both family and friends. It’s a summer tradition I love to continue today in Loudoun. Many of our wineries feature live music throughout the weekends while neighborhoods and plazas bring out some of the area’s hottest bands for people to rock to under the stars. Here are a few of the ways you can enjoy live music in Loudoun this summer. Tarara Winery Summer Concert Series: While I gravitate to the 80s music I grew up on, Tarara features bands that play everything from Bon Jovi and the Beatles to The Who and U2. Enjoy food from Monk’s BBQ while sipping Virginia vino and enjoying the beautiful lake, which serves as the backdrop for these concerts. Village at Leesburg: Celebrate summer with the Plaza Party every Friday and Saturday. Enjoy live music, outdoor games and patio dining at more than a dozen restaurants in the village. After , challenge friends to a game of bowling at King Pinz or catch a movie at Cobb Theatre. 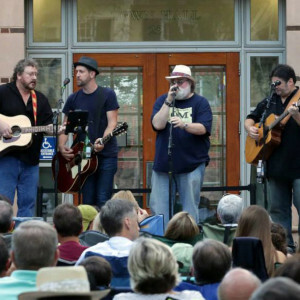 Town of Leesburg Acoustic on the Green: Grab a lawn chair and relax at the 13th annual series, which features live, acoustic music on the town green, located at 25 West Market Street. Arrive early to visit the shops and restaurants throughout the historic downtown. 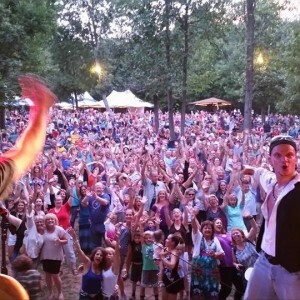 Brambleton Town Center: This “sizzlin’ summer concert series” runs every Thursday through August. Pack a picnic or grab a bite from the food trucks on site. Wednesdays or take the family to the Kids Summer Concert Series on Mondays. Looking for a date night? Head out Saturdays for dinner at one of the numerous restaurants before the evening show. 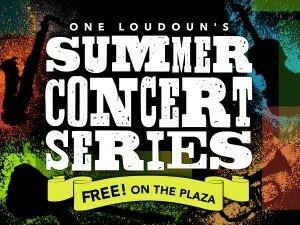 For more information on summer concerts or live music in Loudoun check out visitloudoun.org.